Welcome to the 12th Annual Corvette Dream Giveaway brought to you by Lingenfelter Performance Engineering, featuring, for the first time, a 1961 Corvette. We sourced the entire country for the perfect classic ‘Vette that screamed old school cool and that you could drive as easily as a brand-new production car. Here it is — a heart-thumping 1961 Corvette convertible with a no-expense-spared restomod restoration from bumper to bumper. Enter and win, and you’ll put this amazing first-generation Corvette and a 2019 Corvette ZR1 in your garage, plus we’ll pay $60,000 for the taxes. This classic 1961 Corvette has all of the old school allure and timeless appeal that has attracted Corvette lovers for over 60 years. How well do you know your 1961 Corvette history? Model-year 1961 was a glamorous one for the Corvette. 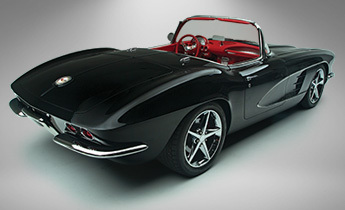 The TV show, “Route 66” debuted, featuring a brand-new 1961 Corvette. A total of 10,261 Corvettes, all of them convertibles, rolled off the St. Louis, Missouri, assembly line. On the front end of the 1961 Corvette, a dual headlamp system, chrome grille and new crossed-flagged emblem with C-O-R-V-E-T-T-E spelled out gave the ride a freshened look foe the swinging ’60s. 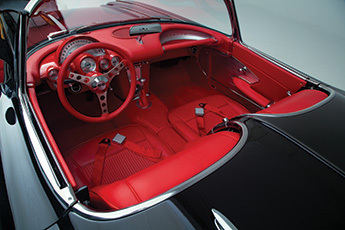 The model year also saw the introduction of a brand-new rear-end design, which would carry over into the second-generation, or mid-year, Corvettes. 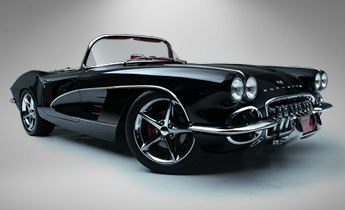 Looking back at the 1961 Corvette, there’s no denying its image is timeless. 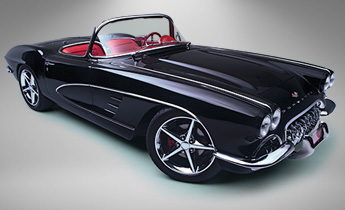 In fact, the first-generation Corvette is the classic car of choice for famous celebrities like George Clooney and Bruce Springsteen. Enter and win, and you’ll bring a home this incredible 1961 Corvette convertible, which features a ground-up restoration on par with the high-dollar Corvette restorations you see crossing the auction block at Barrett-Jackson events. That’s right. Everywhere you look on this classic Chevrolet, you’ll see the telltale evidence of expert workmanship and meticulous attention to detail. Let’s start at the engine, where a new Corvette LS3 V-8 engine and GM 4L60-E four-speed automatic transmission comprise the new drivetrain. With 430 horsepower on tap, you’ll have plenty of Corvette power for street cruising, highway trips and a little bit of showing off if you want. Make yourself at home behind the leather-wrapped steering wheel and enjoy the luxurious look and feel of brand-new leather-covered seats. Then turn the ignition key. 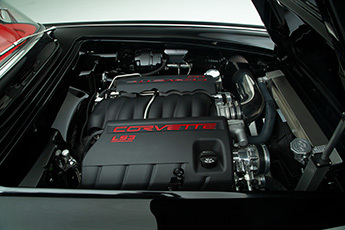 The monstrous, fuel-injected V-8 instantly awakens, anticipating your every instruction. Imagine your emotions when you experience the sophistication of rack-and-pinion power steering, the safety of four-wheel power disc brakes, the magnificent ride quality of a Corvette Corrections chassis and suspension, and the accuracy of the retro-styled instrument panel cluster. You’ll even have cleverly installed power windows at your command should you decide to block out the wind. 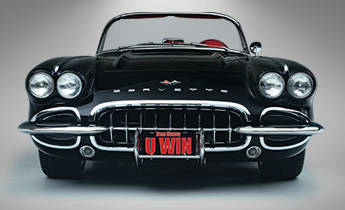 Enter and win, and you’ll put this fully restored 1961 Chevrolet Corvette convertible and a brand-new 2019 Chevrolet Corvette ZR1 in your garage. Plus we’ll pay $60,000 for the taxes. This once-in-a-lifetime prize package will not be repeated. Enter now.